We are facing a brave new world with the advent of scientific breakthroughs such as the "three-parent" technique where a baby is born using DNA from three people. This is just one of many examples of new reproductive technologies to come, which will likely result in an insatiable demand for donated eggs. If not managed carefully, this can potentially lead to exploitation and abuse of both patients and donors. Currently in Singapore, health regulations explicitly forbid women who donate their eggs from receiving payment for their contributions; and there has to be a completely altruistic transaction between the donor and recipient. However, the recipient patient is allowed to pay for the cost of reasonable expenses incurred during this process, such as travelling costs. Such stringent regulations, together with the ban on social egg freezing (where women freeze their eggs when young and fertile, and keep them for future pregnancy) and the increasing trend of late marriages and motherhood, will boost the overwhelming demand for scarce donor eggs. Already, increasing numbers of local patients are seeking such fertility treatment abroad, as reported in The Straits Times a few years ago. Banning payment of egg donors will not stop commodification, nor will it lead to a more ethically and morally acceptable situation. Instead, the combination of scarce supply, high demand by desperate patients, cash-strapped female university students, Internet technology and increasing globalisation and outsourcing of medical services, will inevitably fuel a black and a grey market for donor eggs. This is best exemplified by the current situation in other jurisdictions that have banned commercial transaction of donated eggs. In China, for example, there have been tabloid reports of under-the-table payment for egg donation being made to vulnerable schoolgirls and university students by desperate patients, either through illegal brokers or via Internet websites. Reportedly, the amount of payment depended on the academic qualifications and physical beauty of the prospective egg donor. Similarly in Australia, where most prospective egg donors connect to patients via the Internet, there have been stories of bidding wars in under-the-table payments to the most desirable egg donors. It was reported that one grateful couple "gifted" some dental work to their egg donor. In Singapore, patients are usually required to seek and find their own egg donor, who may be a relative, close friend or even complete stranger. The pertinent question is whether under-the-table payment to egg donors can be prevented by the current system of donor screening and counselling put in place by the Ministry of Health. Could there also be other undue inducements, such as expensive dining and luxury hotel stay for donors sourced from abroad? There are also ethical issues surrounding the lack of donor anonymity and its consequent psychological impact on both parents and children, if patients were requested to source their own egg donors. Recently, numerous egg- donation agencies have sprung up in neighbouring countries which have offered their services in sourcing Asian egg donors for immigrant couples based in Western countries. The usual practice is for a "coordinator" to accompany the egg donor while travelling abroad and "coach" her on passing rigorous psychological evaluation tests for egg donation. It is possible that some may target Singapore-based couples. Hence, it would be very difficult for doctors and fertility counsellors in Singapore to discern whether prospective egg donors have been sourced through such foreign agencies and offered illegal under-the-table payments. After all, it is not the job of fertility clinics here to police such illicit activities. Perhaps, it may be in their own interest to turn a blind eye, even if they were secretly aware of such goings-on. There is also a possibility of surreptitious collusion between local fertility clinics and foreign egg donation agencies. For example, doctors or nurses may drop a hint to their patients to seek such agencies, if they fail to solicit egg donation from their own relatives and friends. Besides an outright black market in the form of illegal brokers and under-the-table payment to egg donors, a grey market may also emerge through ethically questionable practices by fertility clinics and doctors. It would be very difficult for doctors and fertility counsellors in Singapore to discern whether prospective egg donors have been sourced through such foreign agencies and offered illegal under-the-table payments. After all, it is not the job of fertility clinics here to police such illicit activities. Perhaps, it may be in their own interest to turn a blind eye, even if they were secretly aware of such goings-on. For example, in many jurisdictions that ban commercial transaction of donated eggs, there are seldom any laws that prevent local doctors from referring or recommending their patients to receive egg donation at foreign fertility clinics, in which they have a financial interest. Furthermore, many of these jurisdictions also lack regulations that prevent locally registered fertility doctors from travelling abroad to perform procedures related to commercialised egg donation. Another dubious practice is to encourage patients to freeze all their unfertilised eggs instead of embryos, on the pretext of preventing destruction of human life upon embryo disposal, as well as to avoid legal entanglements associated with divorce or separation. 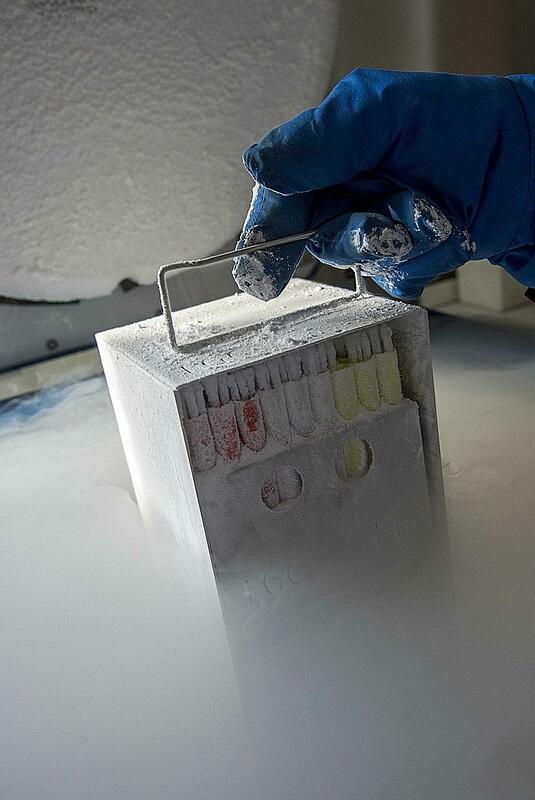 The excess unused frozen eggs can then be altruistically donated to other infertile couples. It is often the case that patients who had successfully completed fertility treatment feel a deep sense of gratitude to their doctor. Hence, fertility doctors can easily manipulate the doctor-patient fiduciary relationship based on trust and goodwill, to cajole their former patients to altruistically donate their unused excess frozen eggs. But in fact, because unfertilised eggs always survive the freezing process less well than embryos, the cumulative success rates for patients are diminished. These doctors may even earn additional medical fees from the egg-donation procedure, even though no commercial transaction of donated eggs has actually taken place between donor and recipient. Because fertility doctors soliciting altruistic egg donation from their own patients usually control the distribution and allocation of the donated eggs to other patients, this can potentially lead to other abuses. For example, premium medical fees can be charged to unsuspecting patients receiving egg donation, which could in fact mask the sale of the donated eggs. There is no longer a level playing field, because the patient's choice of fertility clinic would now be influenced by the availability of donated eggs rather than the doctor's skill and expertise. Moreover, fertility doctors controlling distribution of scarce donor eggs may become the target of bribery. For example, desperate patients can offer to sign up for more expensive medical packages that include antenatal and postnatal care besides fertility treatment, in return for priority in receiving altruistically donated eggs. Hence the Ministry of Health in Singapore should seriously reconsider a system of financial compensation of egg donors with appropriate checks and balances, similar to that implemented for kidney donors. Rather than pretending that commodification of donated eggs cannot take place with an outright ban on payment to egg donors, it may perhaps be wiser and more prudent to permit and regulate it under a strictly controlled environment. •Dr Alexis Heng is a stem cell scientist based at the University of Hong Kong. He had previously worked in the field of human reproductive medicine research in Singapore.